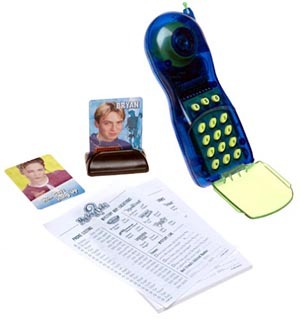 Using an electronic talking phone, girls will delight in playing three different mystery games. This ultimate slumber party game has taken a new twist. Using an electronic talking phone, girls will delight in playing three different mystery games. The trick is to uncover clues by talking to 24 boys to find out which boy will ask them on a date. Players can also find out who the mystery boy is.